Australia sure loves its A-list stars. 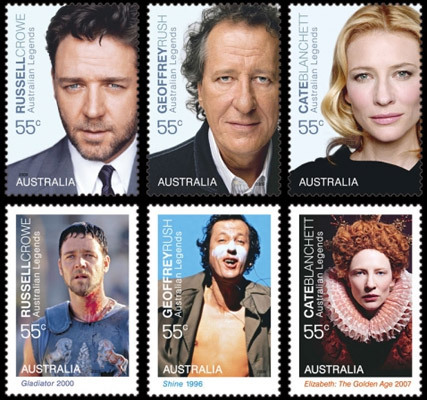 So much so, it’s honouring Nicole Kidman, Cate Blanchett, Russell Crowe and Geoffrey Rush with their own national stamp. Down Under’s biggest exports will actually have not one, but two stamps each. One will feature a professional portrait shot of the stars, while another will see them in their most notable roles, such as Cate in Elizabeth and Crowe in Gladiator.